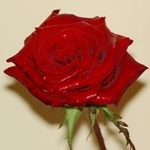 Knowing the type of rose you have is important because it dictates when to prune, whether you need to deadhead, or if you need to spray for disease. Save those plant labels! Knockout roses provide an alternative to gardeners that want beautiful blooms without the hard work. Have your soil tested. 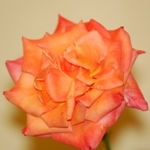 Roses grow best in slightly acidic soil (5.5 or 6) which is not typical for our area. Proper pH will allow the plant better access to nutrients, increase growth and flower production, and reduce the occurrence of disease. 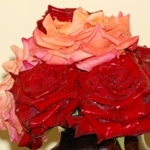 Roses require moderate fertilization at the start of the season once they leaf out and after each round of blooms. Avoid excessive use of high nitrogen fertilizers and adhere to soil test results. That extra fertilizer doesn’t go into the plant, it simply washes off into the Chesapeake Bay. With most roses, don’t be afraid to prune them heavily in late winter. Many roses (especially knockouts) respond well to hard pruning of their canes. Don’t despair! While rose care can be extremely frustrating, especially if you are trying to grow a problem-prone variety, a cultivar that is properly selected, sited and planted can provide years of beauty with a minimum of fuss.